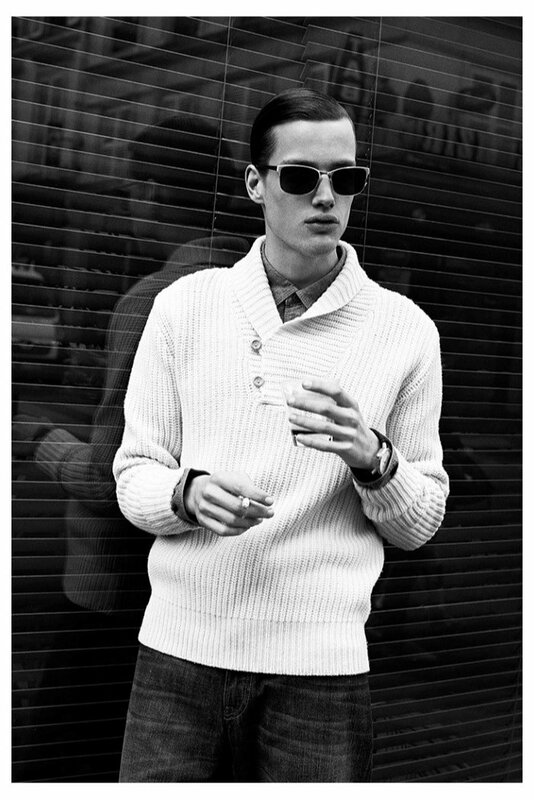 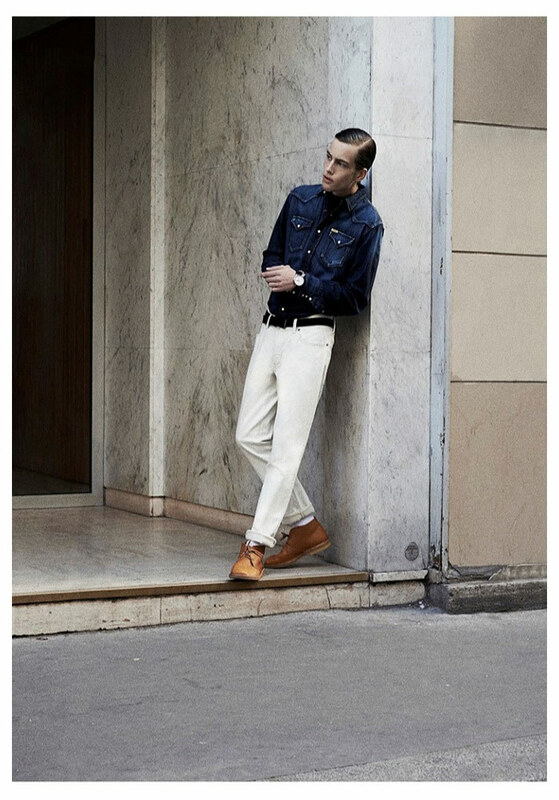 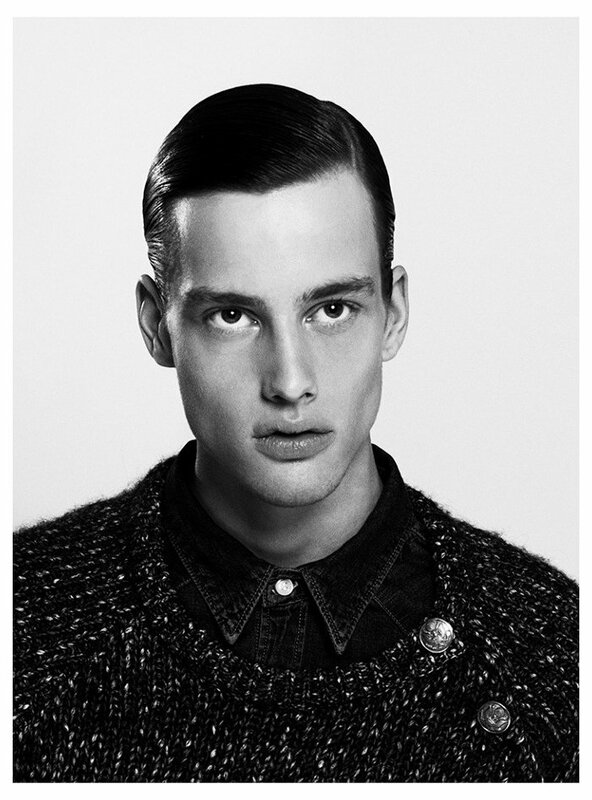 Retro meets modern in Emanuele Fontanesi’s story ‘Le Jeans’ for M Le Monde December 2013 starring the Danish looker Sylvester Ulv. 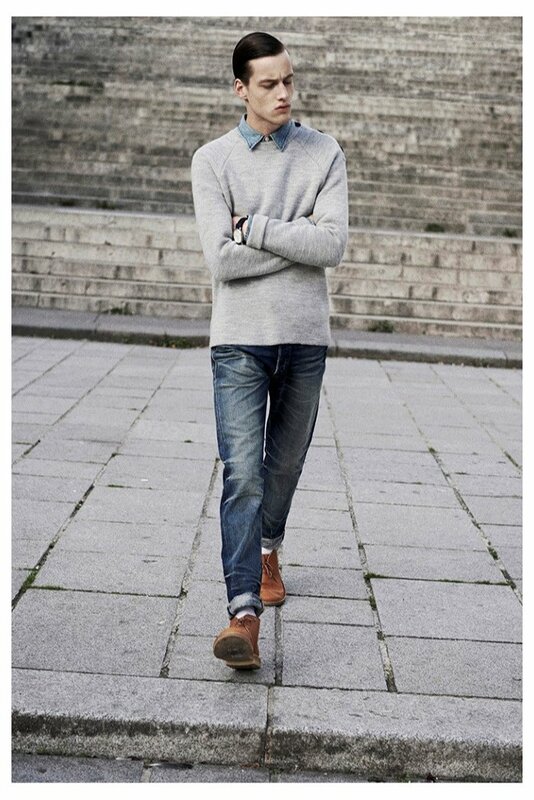 Double denim and bulky knits with a hint of the charming 50’s, are matched with a slicked back hair do, (which works as a great favor to those outstanding cheekbones of his) and a confidence greater then Casanova himself. 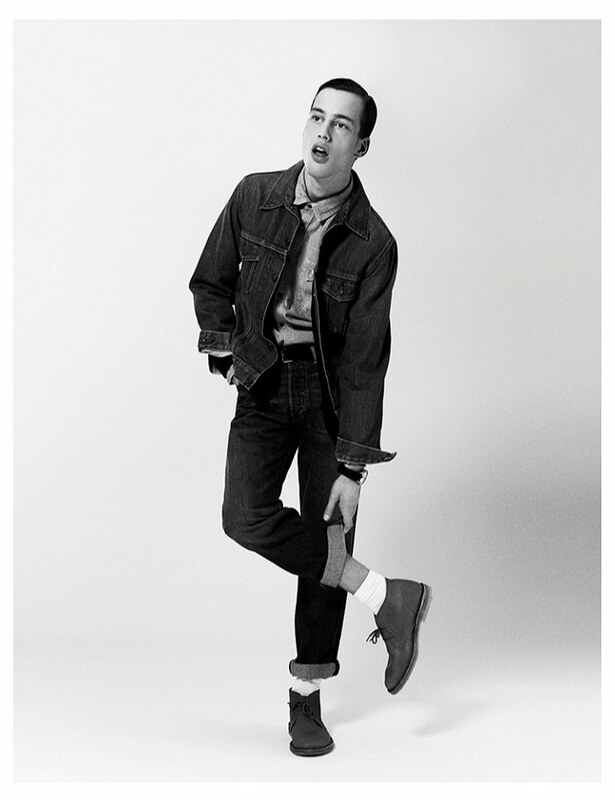 Stylist Marine Chaumien has successfully managed to intertwine the modernity with the nostalgias of the typical, back in the day, denim days, by simply adjusting a few details like rolling up his trousers and buttoning his shirts all the way up. 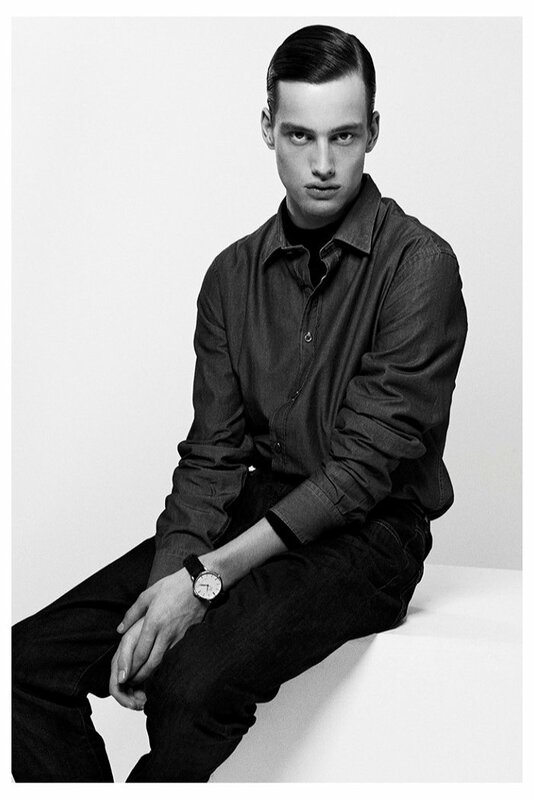 Captured in Fontanesi’s studio and in an outdoors environment, Ulv’s facial features take on the black & white tones as good as they work the colorful ones when posing in front of fashion photographer Emanuele Fontanesi for M Le Monde.